The star of successive QIPCO British Champions day shared top spot with prolific Australian-trained mare Winx. QIPCO British Champions Series star Cracksman and prolific Australian mare Winx were today named jointly as the 2018 Longines World’s Best Racehorses. The pair had equal ratings of 130, with the John Gosden-trained Cracksman soaring back up the charts with his second successive runaway triumph in the QIPCO Champion Stakes at Ascot on QIPCO British Champions Day in October. His rating means that the now retired star was the top-rated horse in the Northern Hemisphere in 2018. Cracksman faced seven rivals in Europe’s most valuable mile-and-a-quarter race and stayed on powerfully under Frankie Dettori to beat Crystal Ocean by six lengths. It had been a similar story on QIPCO British Champions Day 12 months earlier when Cracksman romped home by seven lengths. In all, half of the world’s top eight racehorses were those that had contested QIPCO British Champions Series races in 2018. Amongst them is another star of QIPCO British Champions Day, Roaring Lion, who won the Queen Elizabeth II Stakes (sponsored by QIPCO) on the day and who was rated joint 4th in the world (127). Also within the top eight was Crystal Ocean (=8th, 125) who was runner up to Cracksman on QIPCO British Champions Day and Poet’s Word (7th; 126) who won the Prince of Wales’s Stakes at Royal Ascot before clinching the QIPCO-sponsored King George VI and Queen Elizabeth Stakes a month later in thrilling style. Six of the world’s races ranked in the top twelve were also those that make up the prestigious QIPCO British Champions Series. The Prince of Wales’s Stakes, dominated by Poet’s Word and Cracksman, was third in the Longines World’s Best Horse Race rankings and the top-rated race in the UK last year, while the Juddmonte International Stakes at York, in which Roaring Lion defeated six other horses who had won Group 1 prizes earlier in the year, was fourth. Four other Group 1 races that fall under the QIPCO British Champions Series umbrella – the Investec Derby, rated the top race for three-year-olds anywhere in the world, the King George VI and Queen Elizabeth Stakes, Coral-Eclipse and QIPCO Champion Stakes were also rated in the world’s top 12 meaning that the UK had more races in the upper echelons than any other racing nation. 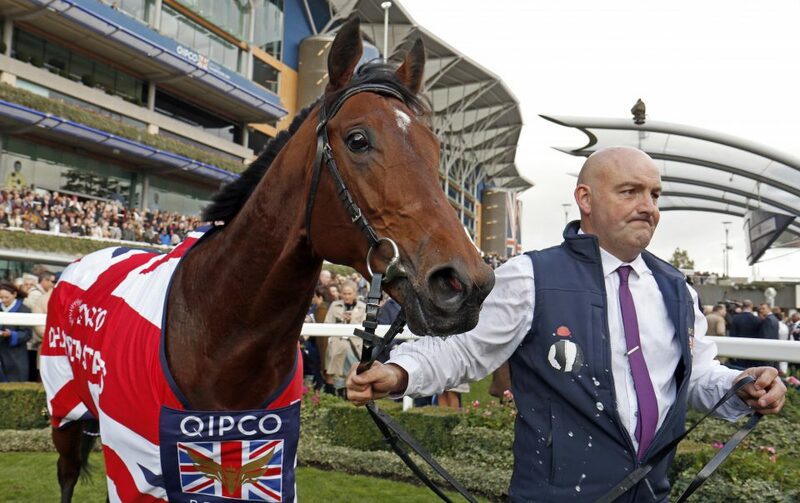 Now in its ninth year, this season’s QIPCO British Champions Series begins with the first Classic of the year, the QIPCO 2000 Guineas at Newmarket on Saturday May 4.